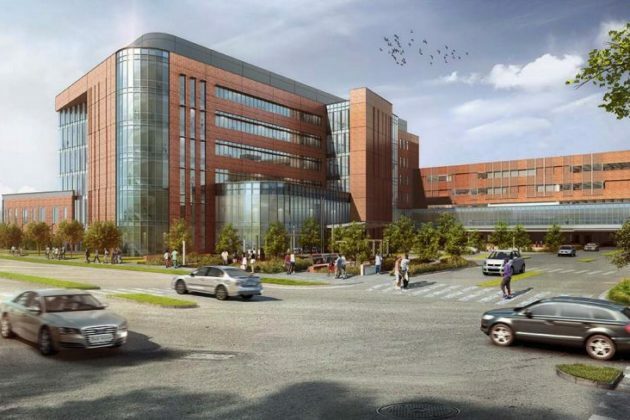 Arlington’s business community is urging county leaders to approve the Virginia Hospital Center’s expansion plans, arguing the project’s delays have already cost the company dearly. 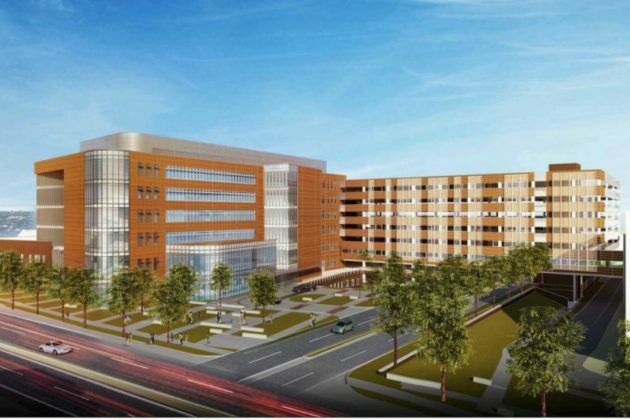 The county’s lone hospital rolled out plans last fall to add a seven-story outpatient facility and a 10-story parking garage next to its existing campus at 1701 N. George Mason Drive. The County Board approved a land swap last summer to make the expansion possible, trading a parcel of land near the hospital on N. Edison Street for a property along S. Carlin Springs Road, and VHC has spent the ensuing months hammering out designs for the new buildings. Yet some of the hospital’s plans have drawn ire from neighbors and transit advocates alike, convincing the Board to push back any consideration of the expansion until the fall. Bates argued in the letter that the hospital desperately needs the expansion to cope with Arlington’s growing population — VHC expects it’ll need an additional 85 hospital beds over the next five years to handle the county’s growth, and could use another 130 beds over the next 15 years. The hospital currently plans to convert around 120,000 square feet of existing outpatient space to 101 new beds once it can complete the proposed expansion. 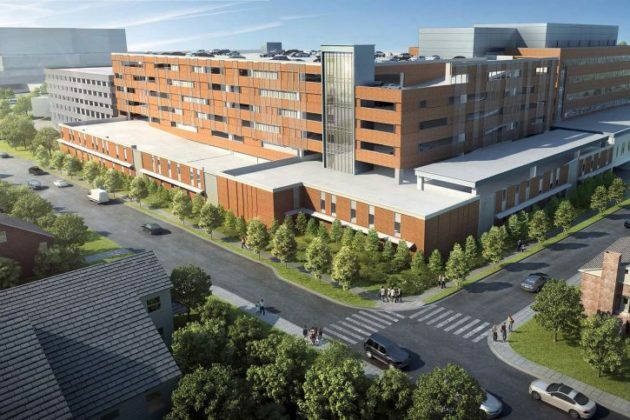 Bates adds that “patients and visitors are frequently frustrated and unnecessarily delayed by current parking constraints” at the hospital, making the roughly 1,800 parking spaces in the new garage a key element of the plan as well. However, the garage has attracted some of the fiercest opposition of any element of the project, with neighbors worried about its size and staff and activists worried that it overly encourages driving at the expense of biking or transit options. Yet Bates points out that VHC has already agreed to shrink the garage by about 200 spaces from its original proposal, bringing down its height to about 67 feet in all. 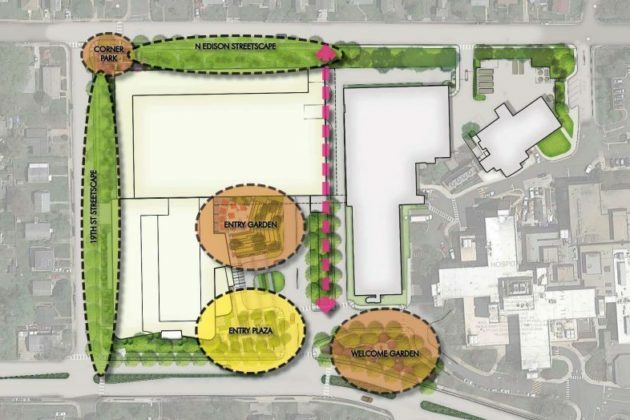 According to a VHC presentation at a May community meeting, the hospital is planning 27,000 square feet of buffers around the hospital’s perimeter, in addition to lots of green space on the property itself. 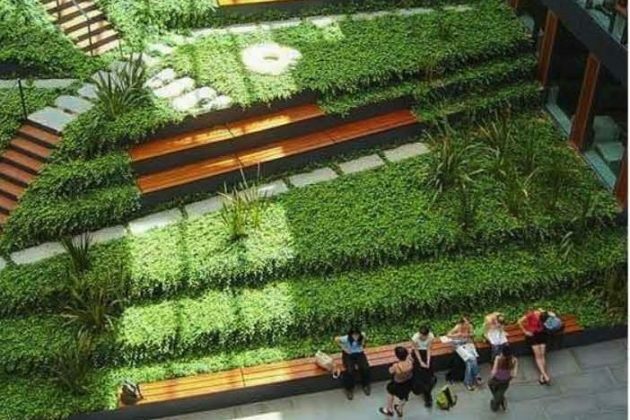 In all, the hospital hopes to build a 11,000-square-foot entry plaza with a similarly sized “welcome garden” nearby, and a 9,000-square-foot courtyard complete with a “sunken garden” of tiered planters. In all, the Chamber sees this work as plenty of evidence that the Board shouldn’t press for any additional changes from the hospital and let the expansion move ahead quickly. Both the Planning Commission and the County Board are set to hold public hearings on the project in September.